cornflakes chivda recipe | cornflakes mixture | cornflakes namkeen with detailed photo and video recipe. basically a sweet and savoury spicy snack or mixture recipe prepared from crunchy cornflakes. 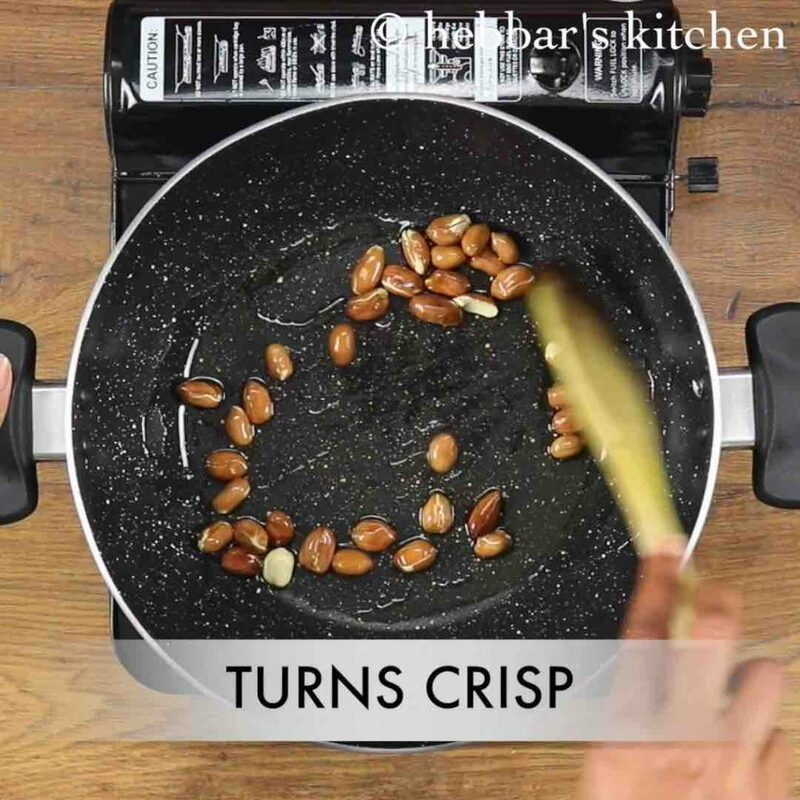 it can be prepared as diwali snacks or as a munching snack for evening tea. compared to traditional kerala or bombay mixture recipe which is prepared from besan, it is a healthy snack from corn flakes. 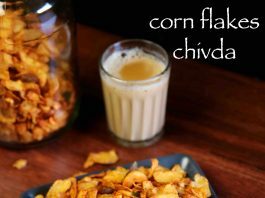 cornflakes chivda recipe | cornflakes mixture | cornflakes namkeen with step by step photo and video recipe. traditionally the corn flakes chivda is prepared from dried yellow coloured flakes which is typically deep fried and then used to prepare the chivda. however i have used the breakfast cereal corn flakes and hence i have not deep fried. the corn flakes mixture would be appreciated by everyone, especially kids would certainly love it. this recipe of cornflakes mixture is shared by aparna ashwin who is currently living in perth. this is her second recipe which i am posting on my website with a video. many many thanks to her for the comprehensive detailed recipe with step by step photos and tips. i took me a while to share this as she had shared it 2 months back. to be honest, i was having some left over corn flakes and i wanted to finish it off with some recipes healthy corn flakes recipe. while i was developing the recipe, my husband reminded of this aparna’s recipe and i was happy to share it with a video. However i have altered the recipe slightly to keep it more simple. 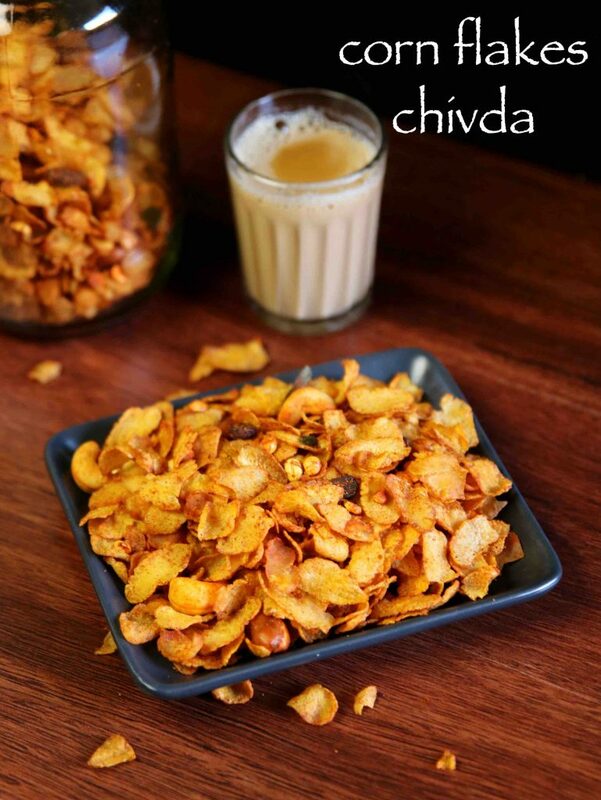 furthermore, some important tips and recommendations for perfect crispy cornflakes chivda recipe. firstly, i prefer to have savoury cornflakes mixture and hence i have added chaat masala and chili powder. if you do not like the spicy taste, a tsp of sugar can be added. 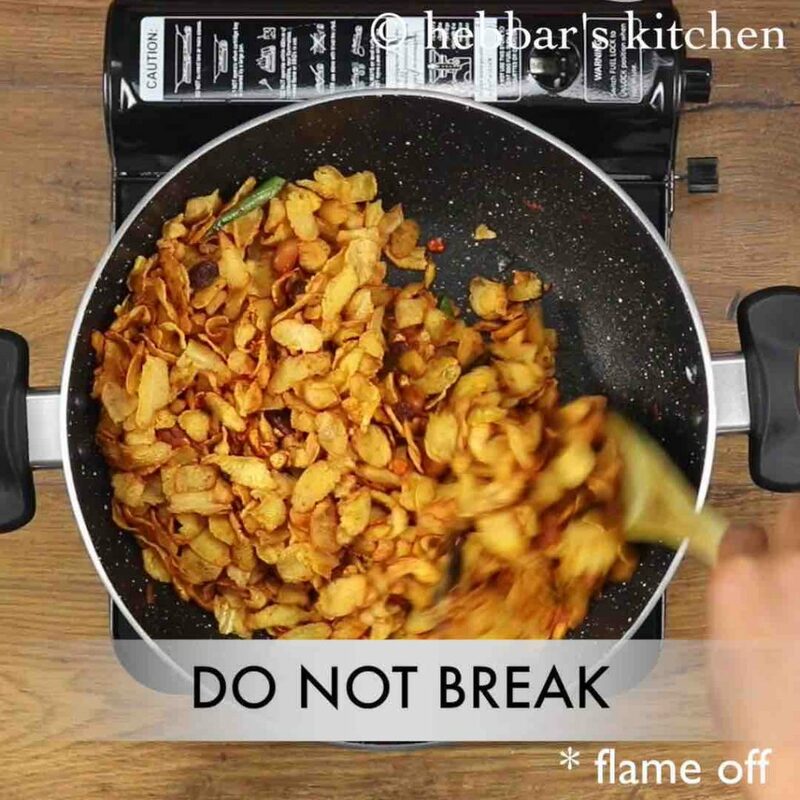 secondly, you can extend cornflakes mixture recipe by adding deep fried poha or even sev or omapaodi to make even more flavourful. lastly, store it in a air tight container for longer shelf life in a dry place. serve it as it is or add some finely chopped onions before serving. 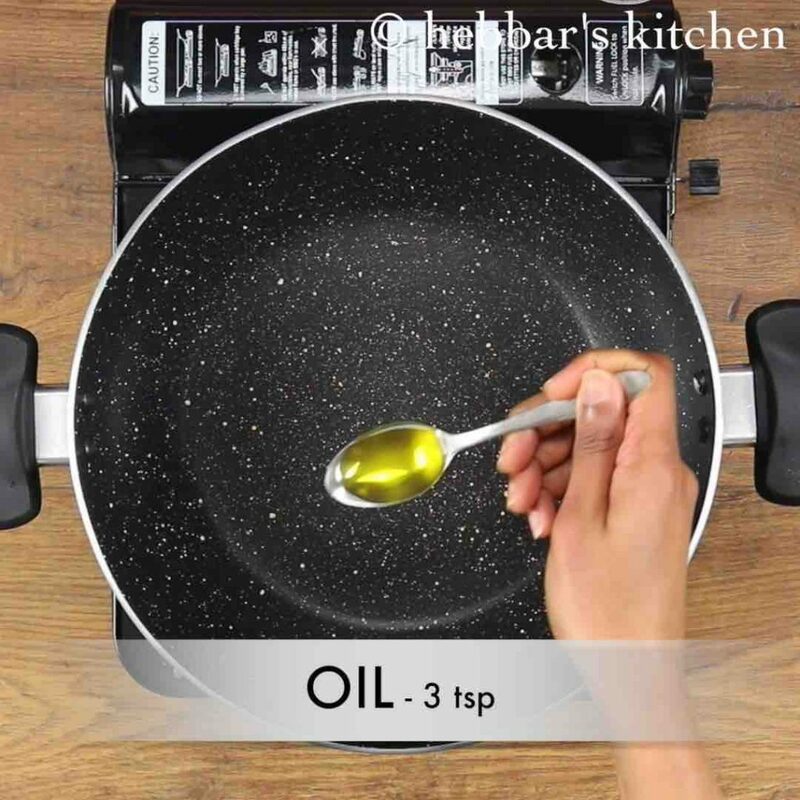 firstly, in a large kadai heat 3 tsp olive oil / any cooking oil. 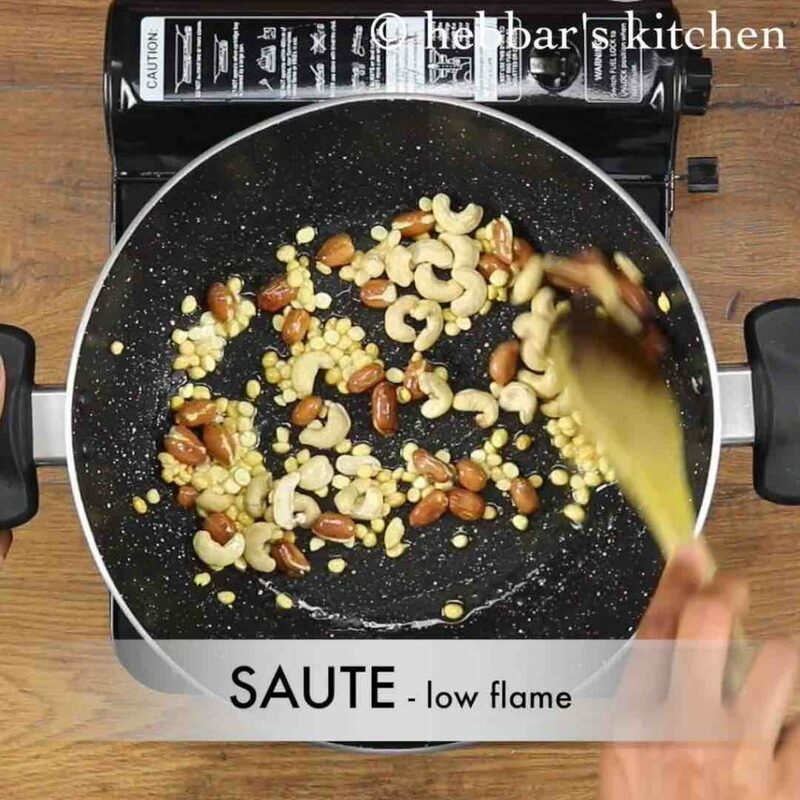 saute in ¼ cup peanuts on low flame, till it turns crisp. 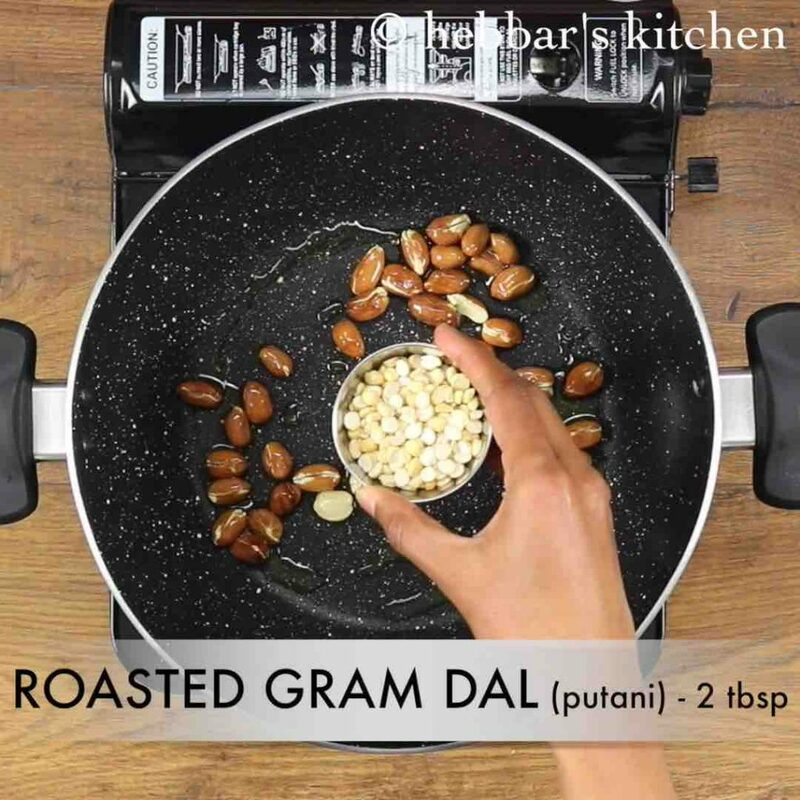 also add 2 tbsp roasted gram dal and saute for 30 seconds. now add 2 tbsp raisins and few curry leaves. saute till raisins puff up and curry leaves turn crisp. 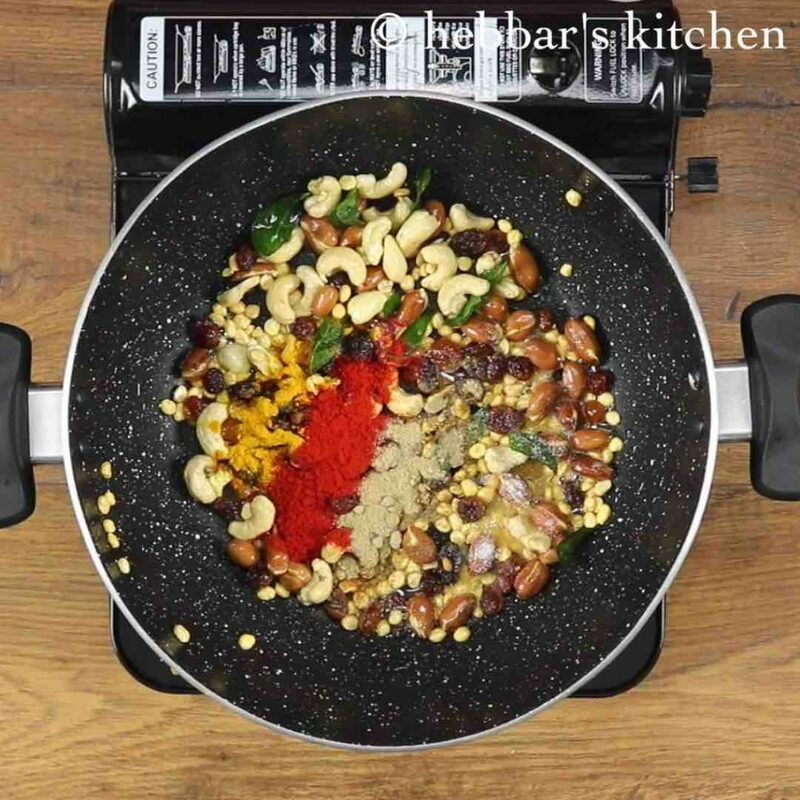 additionally add ¼ tsp turmeric, 1 tsp chilli powder, ½ tsp chaat masala and salt to taste. 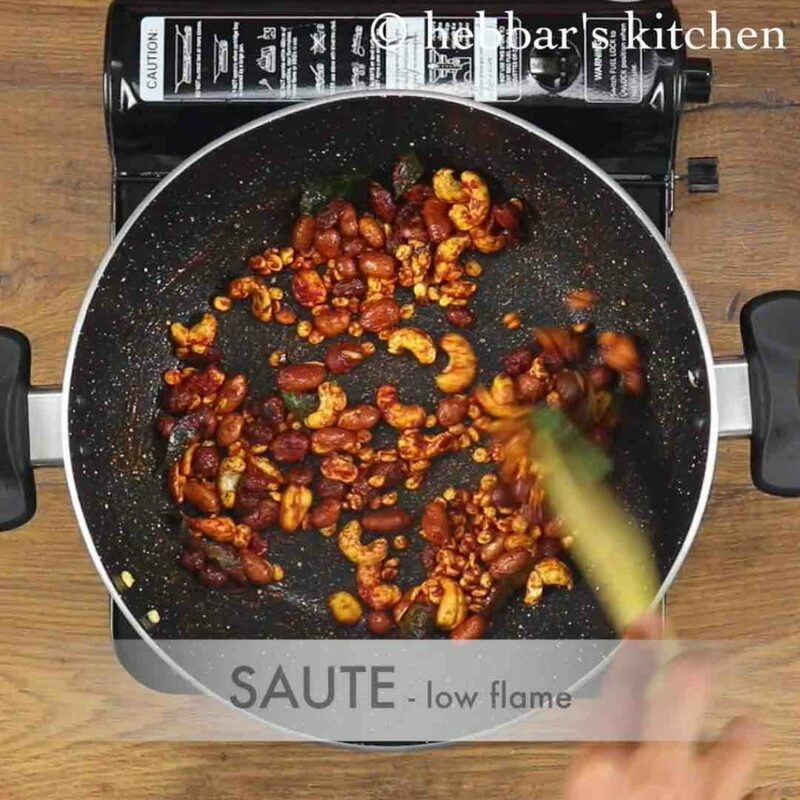 saute on low flame and turn off the flame. now add 2 cups ready to eat corn flakes. if using makai poha / corn poha, then deep fry in oil. mix gently without breaking corn flakes. 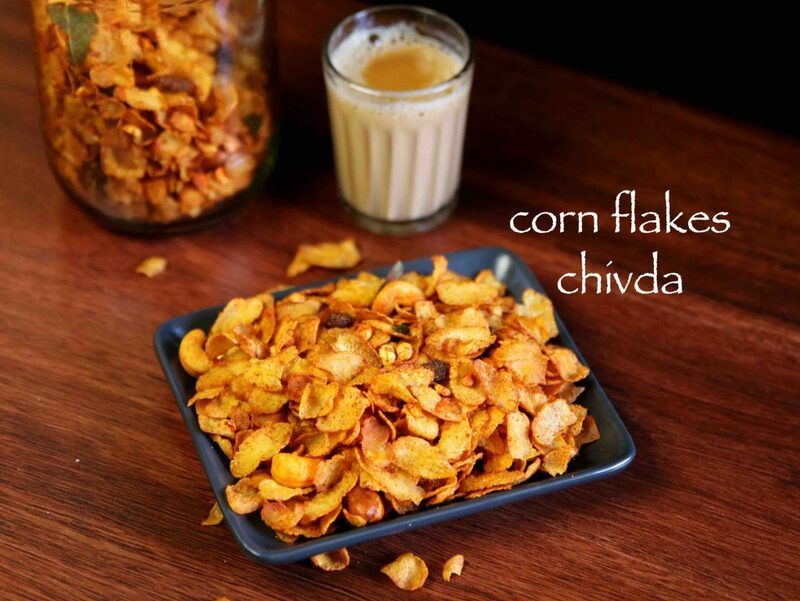 finally, enjoy corn flakes chivda with hot masala tea or store in airtight container. 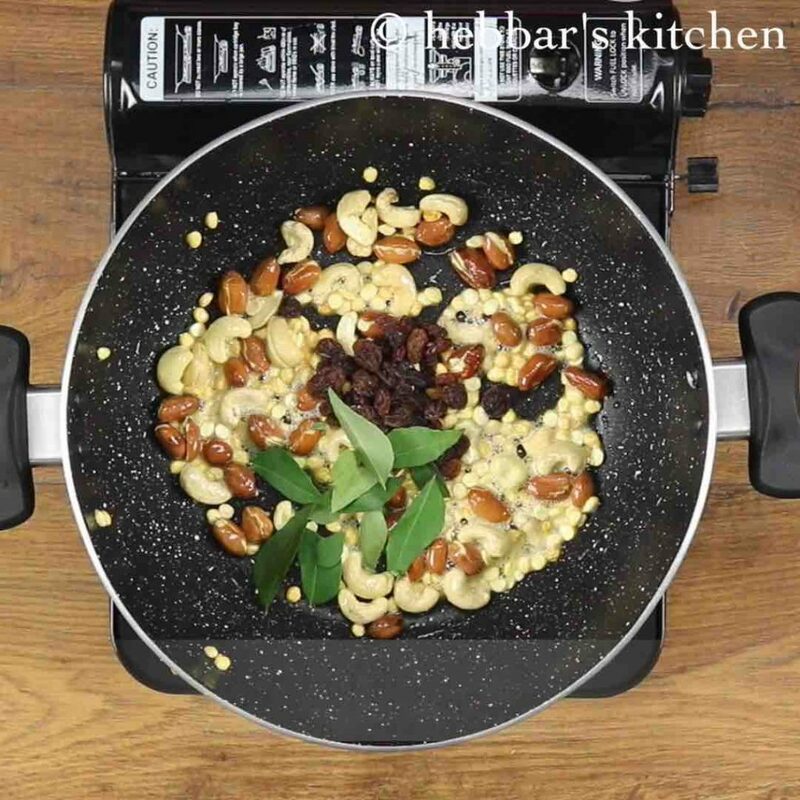 further saute ¼ cup cashews to golden brown. firstly, if using makai poha / corn poha make sure to deep fry in oil and then mix with spices. further add dry fruit of your choice to make it more healthy. additionally, add sev or chakli pieces to make corn flakes chivda more tasty. finally, store corn flakes chivda once cooled completely and can store for 1 month. is these are fried cornflex ? WILL TRY OUT THIS WEEKEND. I AM GREAT FAN OF THIS WEBSITE. LIKE THE WAY IT IS MANAGED. HATS OFF TO THE EFFORTS TAKEN TO PRESENT THE PROCEDURE IN THE FORM VIDEO AS WELL AS THE SEQUENTIAL PICTURES. THANK YU. EXPECTING STILL LOT FROM HEBBAR’S KITCHEN. We need to fry the corn flakes? 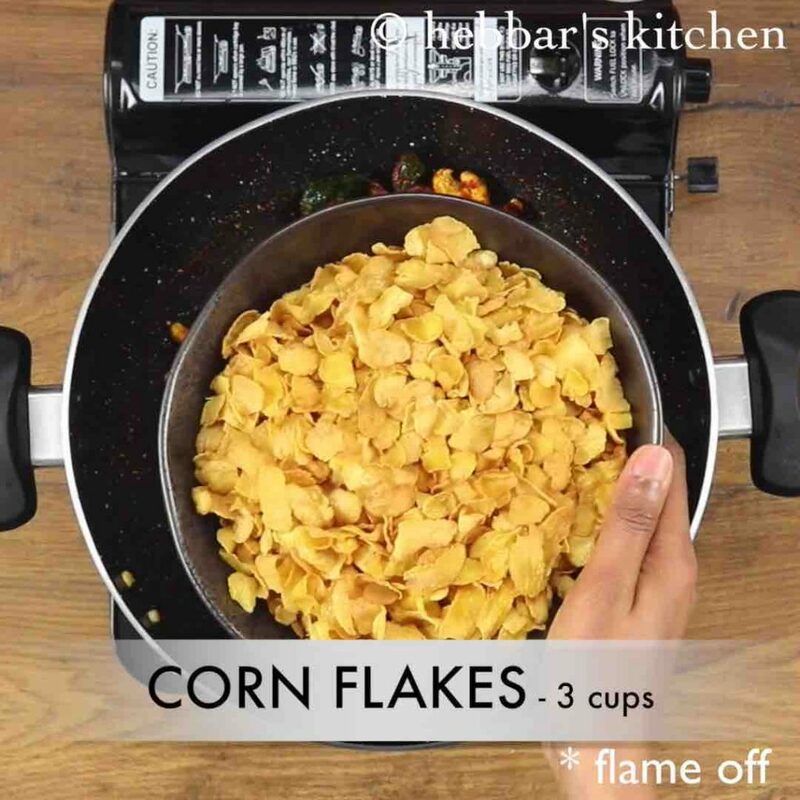 if you are using ready to eat corn flakes, then needn’t fry. if you are using makai poha / corn poha, then deep fry in oil.